We all know SPF is important to protect us against sunburn and cancer. Obviously, I want people to give consideration to the toxic ingredients for the sake of their skin but did you know that sunscreen could be damaging the marine environment? This blog post was prompted by a tweet I spotted. I think it is interesting and concerning that some ingredients are potentially harmful to our bodies but they are also damaging to our environment. If you are lucky enough to be swimming or snorkelling around coral reef you need to consider switching your sunscreen to a green brand. Wow! Who would've thought? Very interesting post Sarah. Certainly something to think about. I never knew this! I'm switching to greener sunscreens anyway but it's really sad to hear this. Thanks for sharing! Thanks, Sarah, for making this point clear. 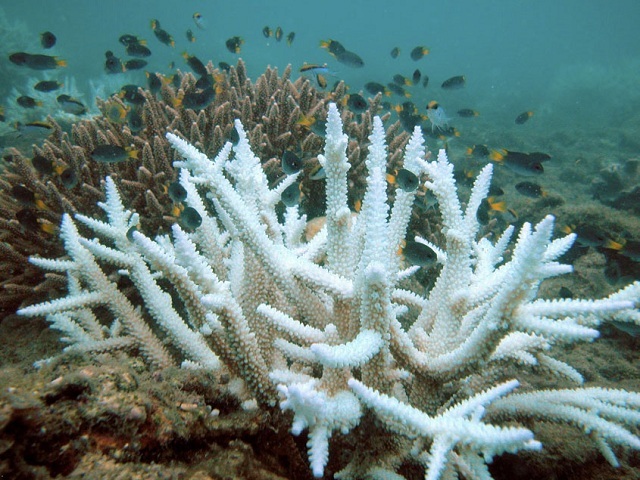 In doing research for a recent post on sunscreens and safe sun, I came across the term "coral reef safe" and wondered what that meant. You have relieved me of the effort to do my own research on this important topic. PHEW :-)!